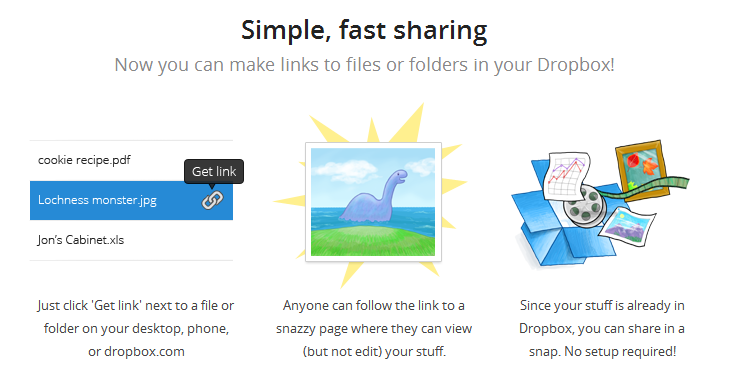 With the launch of Google’s Drive service just on the horizon, Dropbox is making it easier than ever to share the files you own with a single link. Starting now, when you scroll through your entire list of folders and files, you will see a link indicator on the right side. Click that button to be taken to the page where your file/folder resides and then easily share that link among family and friends. No more having to share entire folder contents or adding permissions, which was becoming rather bothersome.